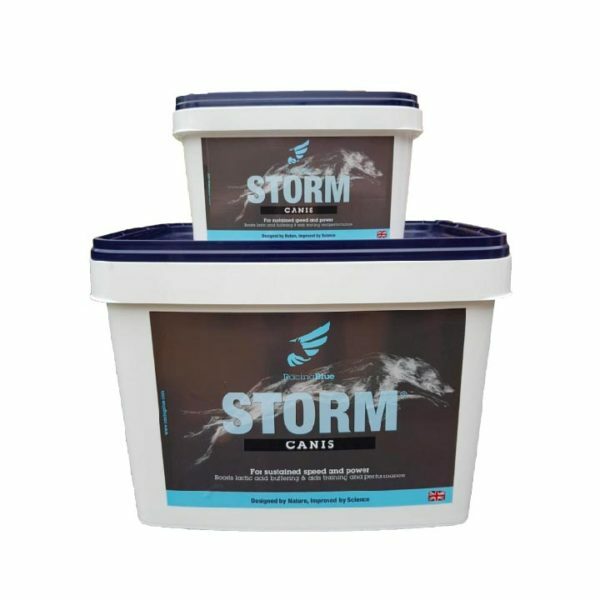 Storm Canis is scientifically proven to delay muscle fatigue and the ‘burn’ of lactic acid build up in muscles, which means that your dog can perform at maximum speed or power for longer. Furthermore, it supports muscle repair and speeds recovery. Storm Canis is used at the highest level in greyhound racing, where the 2013 UK champion, Mark Wallis, attributes his stunning late victory to this outstanding product. Suitable for all working dogs requiring rapid acceleration or power. The combination of active ingredients in Storm Canis is unique worldwide. 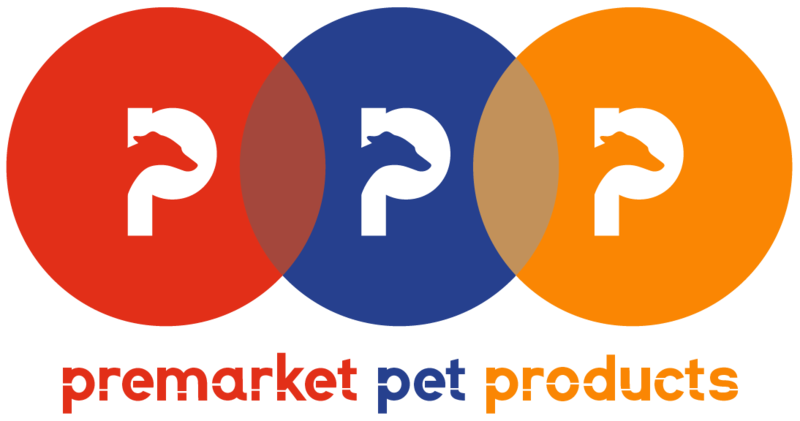 This revolutionary product can transform your dog in any discipline, both in training or competition. 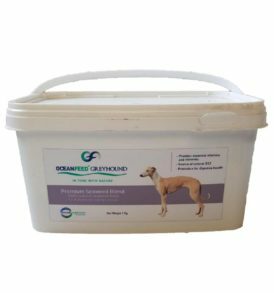 Oceanfeed Greyhound Plus is a 100% natural feed ingredient made from a unique blend of six different seaweeds. 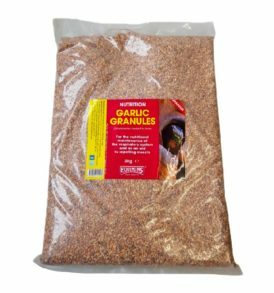 High quality full strength garlic granules rich in natural vitamins. 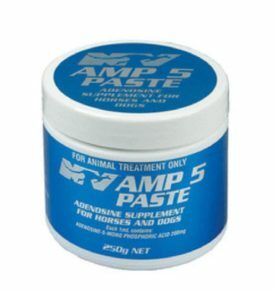 AMP-5 is a potent natural vasodilator that produces a marked increase in the circulation to both cardiac and skeletal muscles. Increased blood supply improves supply of oxygen and nutriens to cells, and helps to remove wastes such as lactic acid more efficiently. 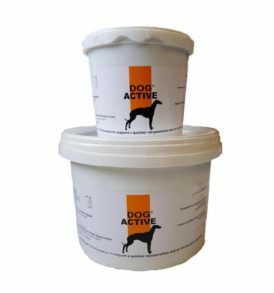 Dog Active is a revolutionary new food supplement for breeding and racing greyhounds which contains minerals, vitamins and 20 different amino acids which are essential for the regeneration of body cells. 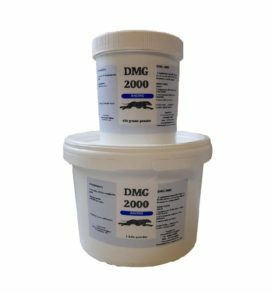 DMG 2000 contains 200mg of N-Dimenthylglycine (or vitamin B-15) per ounce. DMG decreases lactic acid and helps stamina, energy and endurance. 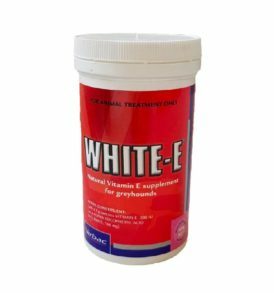 Vetsearch White-E contains a pure source of naturally derived vitamin E. The main effect of White-E is as an antioxidant – used naturally in the body to maintain muscle function and contraction power. Vitamin E is also vital for the functioning of the immune system and for maintaining energy. 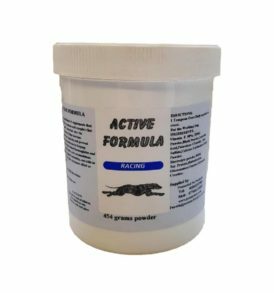 Active Formula combines effectiveness of dog Active with all the minerals and vitamins you will ever need. 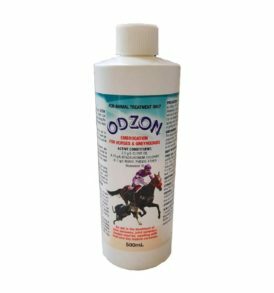 Odzon is an embrocation treatment for horses and greyhounds. It is safe to be used up to and on race day. Odzon will NOT return a positive swab, however like all other medication, its use should be declared on the appropriate form.